Welcome to Dentalelle's full NBDHE preparation, we aim to take stressful studying away and help you learn in an interactive and useful manner! We offer multiple choice questions and case studies designed specifically with the NBDHE in mind to ensure you are prepared for the actual test format. There is no need for textbooks as we take our entire curriculum from all texts and compile it into an easy to read and understand format via power points. This makes studying easy! We provide all the information you need in your own membership login online. Taking the NBDHE? The course is a full two months with interactive tutoring sessions held online weekly. You have access to all notes, tests, power points, etc., via your membership online anytime. Are you taking the Canadian Dental Hygiene Board Exam? You can purchase the material for the NBDHE to give you a step above and ahead of the rest! This includes all material minus weekly tutoring instruction. This is an advantage and will help you remain confident in your preparation for Canadian exam. Why Dentalelle? We offer a guarantee! 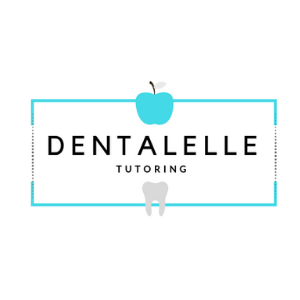 Dentalelle is so confident that you will pass your exam on the first attempt that if you are unsuccessful, we will pay for your re-subscription with us! This is provided that you have attended ALL tutoring sessions held online. Any questions? Email andrea@dentalelle.com or register below!